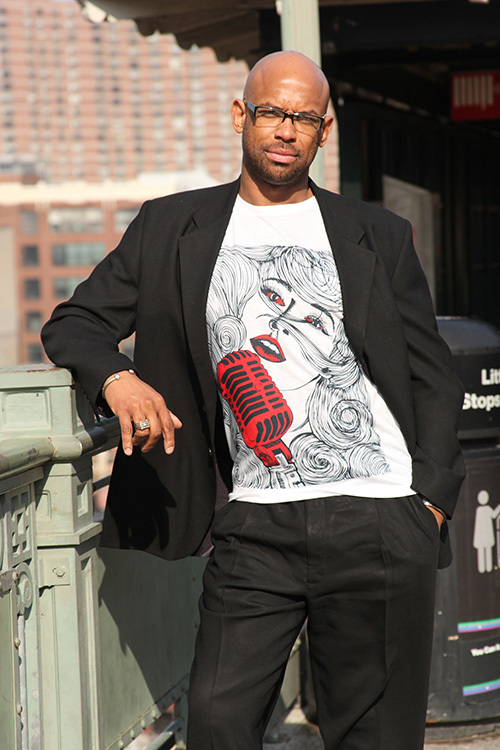 I recently had the pleasure of catching up with Corey Wesley, founder and CEO of the New York City based brand Urban FLRT to discuss his insanely cool brand of t-shirts. 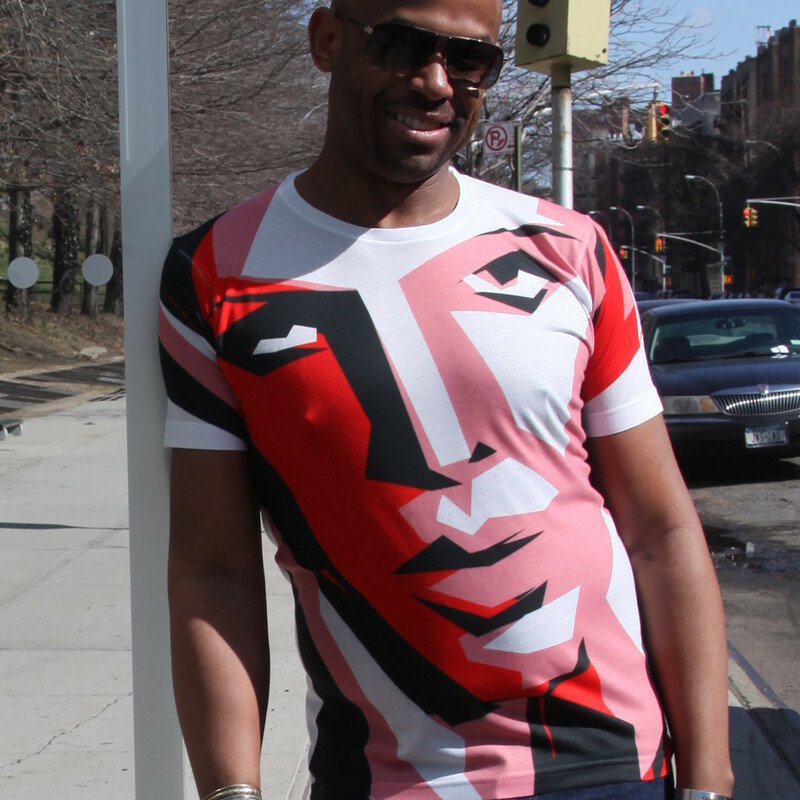 It’s never easy finding a t-shirt that can make you feel stylish, flirty, and unique, so when I started snooping around Corey’s latest collection, I was instantly hooked. I felt compelled to find out more about the brand and his inspiration for his shirts. 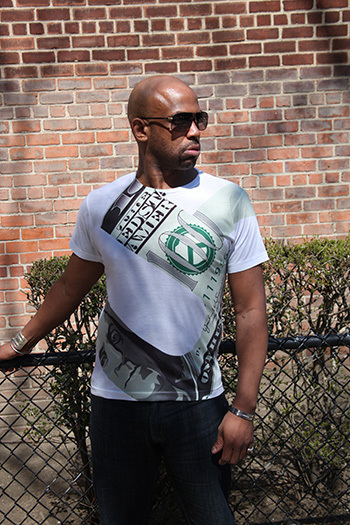 The Urban FLRT brand provides quality, fashionable street couture at an affordable price point. Many of our shirts incorporate a unique treatment that infuses the dye into the shirt as the designs are printed. No cracks, no bleeding, no fading, what more can you ask for? Agreed. I cannot tell you how frustrating it is to find that perfect shirt that you love to mix and match with your favorite jeans, blazers, and skirts, only to see it fade and crack after a few washes. That’s why I feel it’s always important to take just as much time and effort in finding that perfect tee , just as you would for a dress, jeans or shoes. The man behind the brand Urban FLRT, COREY WESLEY is no stranger to hard work and what it means to go after your dreams. Born and raised in New York City, Corey is fascinated by pop culture. He loves living in the urban environment and regularly draws inspiration from all that urban living has to offer. COREY had a successful career in the financial industry as a senior corporate trainer, however, with the downturn in the economy he had to switch gears. He turned being laid off from his position into an opportunity to create his own job and pursue one of his passions, fashion. Photos By: Deborah Clark Fairfax. I believe in the notion that fashion is more than just articles of clothing put together. Fashion is an art form; an art form of self-expression whether you’re expressing something personal, cultural or economic, the clothes we wear reveal more about ourselves than we know. What’s your favorite part about conceptualizing a design? My favorite part of conceptualizing a design is developing a concept that is going to provoke thought and inspire the public. I am driven and inspired by the ability to bring my concept to fruition. It’s the overall process that I enjoy the most. I like to take pop culture influences into consideration and those feed what is ultimately created. What are some of your accomplishments as a business owner and designer? After a lengthy and successful career in the finance sector, I’m most proud of being able to take a risk and pursue my love for fashion and creating and developing concepts. I’ve been able to create a business platform that is solid and promotes success. Building my company BlackOutEndeavors from the ground up has been a major accomplishment for me. What is the best advise you’ve ever received? How would you define your city’s fashion? 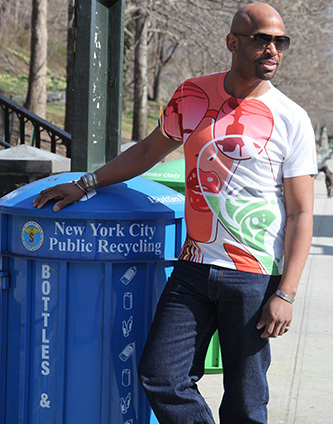 Fashion in New York City is about individual style and being who you want to be. 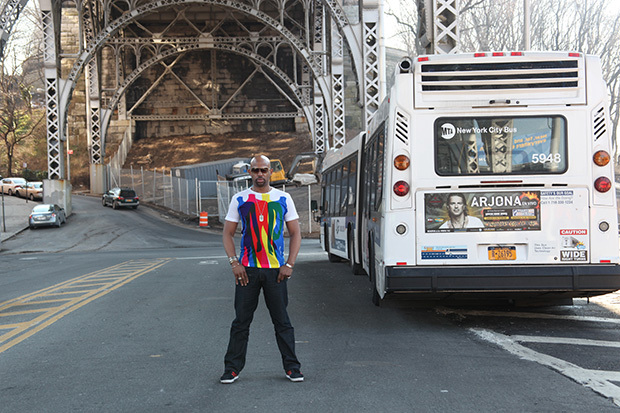 New York City has always been an inspiration for me because it’s a canvas that is forever changing especially in the spring; a splash of color here, a splash of color there. The colors of the city represent the energy of the season and the various cultures that make it an exciting environment in which to live. That’s why I call New York City, a canvas of colors. How would you define the style your line exemplifies? FLRT stands for Freely Living Real & True. It represents living a life that is of your own free will and living a life that is genuine, true, and done in earnest. When it comes to “Urban” we think of the hustle and bustle of the city; diversity; exploring new neighborhoods; taking advantage of all the activities that are at our finger tips; and working hard to succeed in whatever we choose to do. By using the term urban, we align ourselves not with the hip-hop style but with an individual style. I’ve always been told I’m a sharp dresser but my fascination with fashion really blossomed in 1996. This was the year actress Sharon Stone wore a $22.00 Gap tight, long-sleeved, black turtleneck to the Academy Awards causing pandemonium in the fashion industry. That day I started paying closer attention to fashion and trends. If you only had five words to describe your clothing line, what would they be? Contemporary, stylish, mature, edgy, and evokes dynamism and energy. How do you differentiate your line from other t-shirts? Many of our shirts incorporate a unique treatment that infuses the dye into the shirt as the designs are printed. No cracks, no bleeding, no fading, what more can you ask for? We do, however, also use the more traditional screen-printing process on some of our shirts. I am writing for UrbanLand Media, a lifestyle e-zine. I enjoy socializing with friends and family and ultimately being the social butterfly that I love to be. Our goal is to continue to produce stylish apparel that consumers are proud to wear. Over time we will introduce new product lines that include underwear called Crown Jewel.